Kagan's FREE Articles - Flawed Feedback: Encouragement, Evaluation, or Education? Flawed Feedback: Encouragement, Evaluation, or Education? Offering effective feedback to teachers is one of the most difficult tasks facing a principal. I would like to assure all teachers that leaders learn how to perform this incredibly important duty in “administrator school,” but unfortunately I cannot do so. In my 30+ years in education, I have concluded that the vast, vast majority of educational leaders are not provided many of the skill sets we need to function effectively in leadership roles, and that includes being able to provide effective feedback to teachers. So what do leaders do? Well, we do exactly what teachers do. Let me ask teachers reading this article a question. How many of you learned more about education your first year of teaching than you did in your undergraduate preparation program? Raise your hand if that is true for you. If I were able to peer into cyberspace and see everyone, I would see MANY hands in the air! I have been asking that question of teachers for two decades; to a person we all acknowledge this. As a result, what teachers often end up doing is teaching like we were taught. We adopt survival strategies that, in some cases, are actually counterproductive to learning. Leaders do likewise. Our master’s and doctoral programs are heavily laden with theory. We are told in our courses WHAT to do but little direction is provided in HOW to perform said duties. This is true in practically all facets of our jobs, including how to provide feedback to teachers to enhance instructional practices. As a result, much of the feedback we provide comes in two forms. Consistently, administrators have been told in recent years to get out of their offices. As such, many have a tendency to roam the halls, walking in and out of classrooms to say hello to students and staff. While this loose application of Management by Walking Around may contribute to a positive school climate, this method does little to enhance instructional practices. We must be purposeful when we are in classrooms. Feedback has to be something beyond an attaboy or pat on the back. Granted, encouragement is necessary, and we should positively affirm teachers when we observe behavior that is consistent with best practices. However, simply encouraging and praising people for their hard work will do little to enhance pedagogy. Leaders need to educate teachers—model best practices, engage them in ongoing professional dialogue, and coach them in the moment. The system that most administrators utilize to communicate expectations and provide feedack is appraisal. While the work of Danielson and Marzano have certainly improved the value of this system, the reality is most educators do not find evaluations to be of benefit. Darling-Hammond, Amrein-Beardsley, Haertel, & Rothstein (2012) noted, “Practitioners, researchers, and policy makers agree that most current teacher evaluation systems do little to help teachers improve.” Let’s be honest—evaluation systems were designed to fire people, not to help them grow as professionals. Even if the design of appraisal systems changed, the culture around evaluations is so negative that the impact would most likely be minimal at best. We need to quit trying to force a square peg into a round hole. So, what is the answer? What can principals do systematically to improve the instructional practices of teachers? The answer lies in a third approach to feedback that many—perhaps most—administrators fail to implement. The key to improving classroom instruction is to mimic what teachers do with students each day. Leaders need to educate teachers—model best practices, engage them in ongoing professional dialogue, and coach them in the moment. Nearly every administrator I know chose education as a career to teach, not to manage budgets and buildings. It is possible to still function as a “teacher” but be employed in the role of principal. “Students” are just older! Administrators who serve as a teacher to their teachers—who educate their teachers on pedagogy—are administrators who are valued by the instructional staff. Instructional leaders educate their teachers. Granted, this can be a scary proposition. As noted earlier, no one teaches us in administrator school how to provide feedback that educates our staff. However, those principals who truly want to function as an instructional leader embrace this challenge. They immerse themselves in training, they become transparent to their staff, and they take intellectual risks. Kagan can help! We offer workshops that empower administrators to truly become instructional leaders. 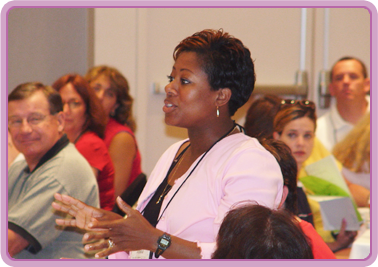 Kagan Cooperative Meetings, Kagan Coaching, and the Instructional Leadership Academy are workshops designed for educational leaders. If you want to provide feedback that will grow your staff’s instructional skill sets, join us for these trainings. Darling-Hammond, L., Amrein-Beardsley, A., Haertel, E., & Rothstein, J. Evaluating Teacher Effectiveness. (February 10, 2015). Education Week. Retrieved from http://www.edweek.org/ew/articles/2012/03/01/kappan_hammond.html.